Earlier this week, a new title update has been released for the Xbox One version of Quantum Break, the new third person game developed by Remedy Entertainment. The same title update for the Windows 10 version of the game was still in certification, but today it’s been confirmed that the update is now out. Remedy’s head of PR Thomas Puha has confirmed on Twitter that Title Update 2 for Quantum Break Windows 10 is now available for download. The update fixes frame pacing issues and includes the option to turn on and off the film grain and upscaling. The new title update is around 27 GB, so it may take some time to complete the download for some. 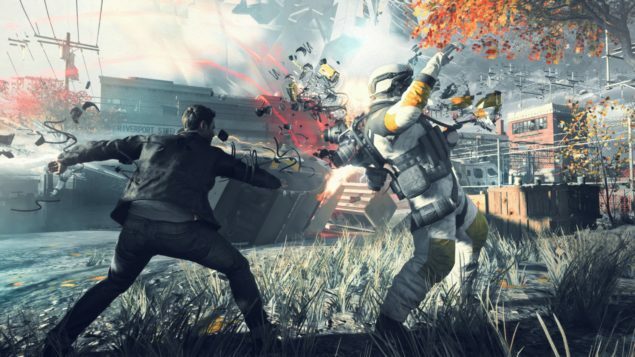 These are only some of the many fixes included in the Quantum Break Title Update 2. You can find the full patch notes below.